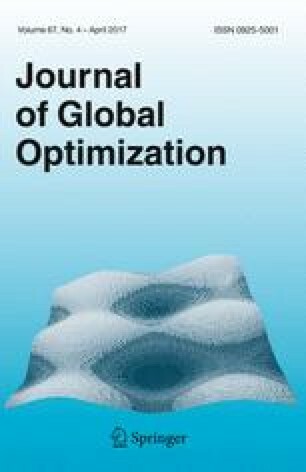 Optimization-based bound tightening (OBBT) is one of the most effective procedures to reduce variable domains of nonconvex mixed-integer nonlinear programs (MINLPs). At the same time it is one of the most expensive bound tightening procedures, since it solves auxiliary linear programs (LPs)—up to twice the number of variables many. The main goal of this paper is to discuss algorithmic techniques for an efficient implementation of OBBT. Most state-of-the-art MINLP solvers apply some restricted version of OBBT and it seems to be common belief that OBBT is beneficial if only one is able to keep its computational cost under control. To this end, we introduce three techniques to increase the efficiency of OBBT: filtering strategies to reduce the number of solved LPs, ordering heuristics to exploit simplex warm starts, and the generation of Lagrangian variable bounds (LVBs). The propagation of LVBs during tree search is a fast approximation to OBBT without the need to solve auxiliary LPs. We conduct extensive computational experiments on MINLPLib2. Our results indicate that OBBT is most beneficial on hard instances, for which we observe a speedup of 17–19 % on average. Most importantly, more instances can be solved when using OBBT. The online version of this article (doi: 10.1007/s10898-016-0450-4) contains supplementary material, which is available to authorized users. This work was supported by the Research Campus Modal “Mathematical Optimization and Data Analysis Laboratories” funded by the German Ministry of Education and Research (BMBF Grant 05M14ZAM). All responsibilty for the content of this publication is assumed by the authors. We want to thank Pietro Belotti and Domenico Salvagnin for fruitful discussions and their valuable comments on earlier versions of this paper, as well as all SCIP developers, especially Tobias Achterberg for creating SCIP and Stefan Vigerske for providing the MINLP core of SCIP. Furthermore, we would like to acknowledge the support of Gregor Hendel in the evaluation of the computational experiments, for which we used his Ipet tool . This work was supported by the Research Campus Modal “Mathematical Optimization and Data Analysis Laboratories” funded by the German Ministry of Education and Research.